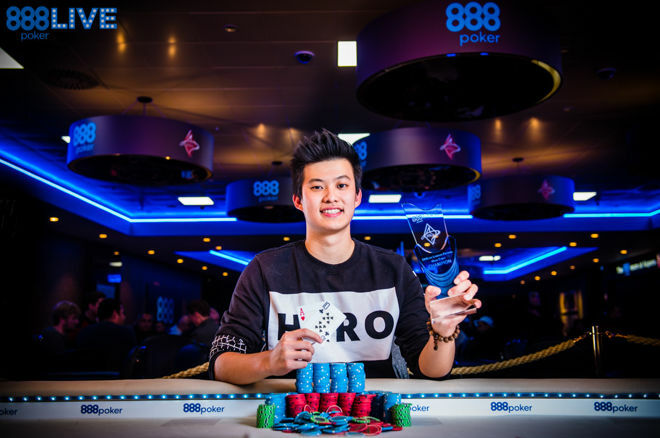 Ka Him Li has won the 888live Poker Festival London Main Event for a staggering £45,300! 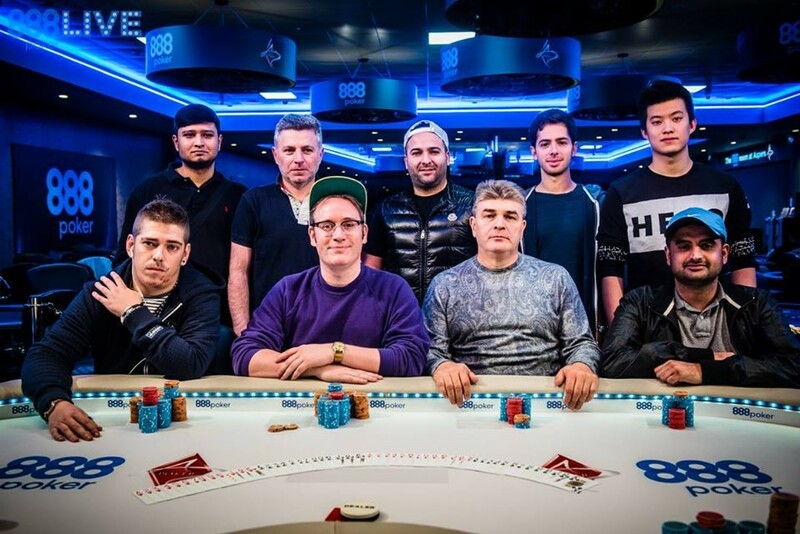 After an epic final day and action-packed final table, Ka Him Li has won the 888Poker London Live Main Event after beating Shah Raza heads up for £45,300 and the glittering trophy. 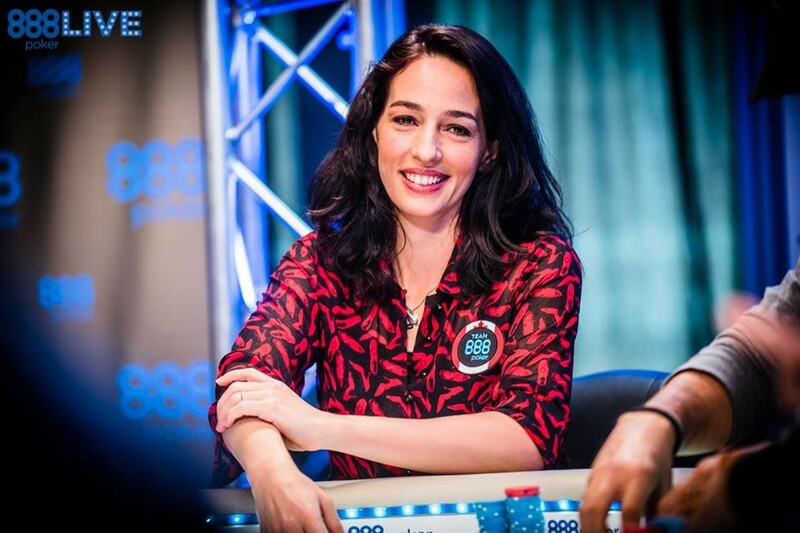 Two friends from the cash game tables of London would meet heads up for the biggest prizes they had won in their poker careers, but the final day action was fast from the start. The remaining 14 players were barely in their seats before Tony Doggett left in 14th place. He moved all in for 14 big blinds, too, but his queen-high couldn’t catch Andrea Volpi’s ace-high and he started the exodus. Over on the feature table, Philippe Souki had won a pot that would transform his tournament. A full house on the river with his pocket fours toppled Jose Lopez’ pair of queens and just a few hands later, Souki was the proud owner of a baseball cap proclaiming him a bounty slayer. His pocket kings dealt with Kara Scott’s pocket tens after Scott’s lower pair was all in preflop and Souki was chip leader. Scott had busted in an unlucky 13th, but she wasn’t the only one leaving. Volpi and Triantipillou busted before Kevin Allen went in 10th, losing a coin flip to Enzo Del Piero to send play nine-handed. The final table did not take long to heat up, with half the players knowing each other from two tables out. Enzo Del Piero was not around long, and unfortunately was all in and at risk with two-pair on the turn against a better two pair for his eventual conqueror, Ka Him Li. It was a longer time to wait than might have been expected for the next elimination, but when it came, Jose Lopez made the right move, but walked into a cooler. His late position shove with ace-jack was crushed by Shah Raza’s pocket aces and they held to eliminate the Spanish player from the final table after sweating a straight draw on the river. Two players busted in quick succession soon after, with Mikhail Pokrepa very short-stacked and unlucky to bust when his all-in move with pocket queens was in the perfect spot to double through Cristian Mihu’s call with pocket sevens…until the seven on the flop, that was. Charles Chattha was the shortest left and his final 13 big blinds were all in with ace-high, but Sam Grafton paired a jack on the flop to eliminate his friend and fellow British legend. Five players were left, but that wasn’t the case for long. Romanian player Cristian Mihu left the table after he flopped the straight in a three-way pot with Grafton and Li. Li called Mihu’s shove with a set of threes which made a full house and we moved four-handed. Down to four, Grafton was the chip leader, but he lost an all in against Raza when the latter moved all in from the small blind with ace-high. Grafton called with king-queen suited. Grafton could find no help and Raza took what would turn out to be a critical lead. Grafton was short-stacked and needed to double, so when he shoved all in on Li’s big blind from the small blind, he was hoping for a call with a worse hand. Instead, he was dominated and was out after the board to join his entertaining rail. Souki was out directly after Grafton's elimination when he moved all in with pocket sevens and ran into Li’s eights. Suddenly, the 21-year-old Hong Kong-born player was heads up and with a 3:1 chip lead. However, that didn’t last. Raza moved all in with pocket eights and was called by Li’s ace-high. The flop gave Raza a full house. After a deal discussion, Raza locked up £40,000 and Li, who had the chip lead, took £45,000. They would play on for £300 and the trophy. It didn’t take long for it to be presented. After a series of small raises and folds, Raza’s ace-eight was dominated by Li’s ace-ten and he rode out the board to triumph. After four days of spectacular play, drama and excitement, the 888live Poker Festival London Main Event champion is Ka Him Li. He left with £45,300 and, of course, the trophy.